Modern medicine has provided the headache sufferer with thousands of different choices of medications to reduce pain. While some are more effective than others, no patient should ever have to suffer needlessly. However, many medications, both prescription and over-the-counter, have unpleasant side effects. Sometimes, these side effects can be dangerous and even fatal. So, what does a headache sufferer to do? Is there a natural remedy for patients who wish to avoid the possibility of drug-induced side effects? Natural oils have been used for years to cure many ailments, including headaches. Most oils are available without a prescription and are relatively inexpensive. The oils generally are not covered by insurance, but still have been shown to produce results. Here are 10 of the best essential oils for headaches. Although peppermint may be known more as a candy flavor for most people, the oil of peppermint actually is a potent curative, which has the ability to open sinuses, helping with headaches due to congestion. Sinus headaches, as well as headaches caused by colds and flu, can be diminished or even go away completely with a few drops of peppermint oil. Peppermint oil also contains menthol, which is known to relax tight muscles and alleviate tension headaches. As a matter of fact, peppermint oil is as effective in getting rid of tension headaches as acetaminophen (Tylenol), with the bonus of being far less expensive as well as having fewer side effects. The anesthetic effect of peppermint oil has also been studied. Clearly, peppermint is an essential oil for headaches. There are two methods for properly using peppermint oil to alleviate a headache. The first method is for the patient to put the oil directly on their skin. While undeniably effective, this method poses an issue, which is shared by all essential oils. 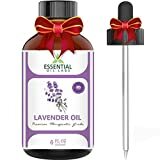 These medicinal oils have been known to cause skin irritation, and certain practitioners recommend that the patient use a “carrier” oil to dilute the essential oil for headaches. The carrier oil is an oil with no healing properties, such as almond oil or coconut oil. A few drops of the essential oil are mixed with the carrier oil, which is then placed on the patient’s skin. The other way to use peppermint oil is through aromatherapy. Either place the oil in a diffuser or a humidifier along with some water and allow the oil to permeate throughout the room. Either of these methods have been proven to be effective, so the patient should experiment until they find the method that works for them. One final note about peppermint oil. Peppermint oil is a stimulant despite the presence of menthol. The patient, therefore, should avoid using peppermint oil right before bedtime. LIMITED TIME PROMOTION! All of our Roll-Ons are deeply discounted for a limited time, Get yours NOW! For patients that find the scent of peppermint overpowering, spearmint essential oil offers many of the same benefits as peppermint essential oil does without the strong odor. Spearmint is a mild stimulant and helps people concentrate. Like peppermint, spearmint essential oil contains menthol (although significantly less), which works wonders on tight muscles as well as for tension headaches. Also, spearmint essential oil has been proven to have antifungal as well as antioxidant properties. Like peppermint essential oil, spearmint oil must be diluted in a carrier oil in order to be placed directly on the skin. Otherwise, skin irritation can occur. Spearmint essential oil is ideal for those individuals with skin that’s too sensitive for peppermint essential oil treatment, as well as for children, who tend to be more sensitive than adults to any sort of medicine. The fresh scent of lavender reminds people more of cleanliness and spring than a medicine. However, essential lavender oil also has medicinal properties, especially regarding the nervous system. Lavender is a sedative and has anti-inflammatory properties. Considering that it has been shown to calm people, lavender is a wonderful pain reliever for migraines. Lavender also has been shown to regulate serotonin levels, which makes it perfect for stress headaches. Also, lavender’s anti-inflammatory properties make it an excellent candidate for headaches caused by allergies. Unlike peppermint oil, lavender is best used in the evening before the patient goes to sleep, considering that it’s a sedative. Lavender is also milder than peppermint oil and the patient is more likely to be tolerant of placing lavender oil on bare skin. Lavender can also be mixed with other essential oils, such as peppermint, in order to stop headaches. Of course, lavender can also be placed in a diffuser or humidifier, just as peppermint can be. Eucalyptus is widely known for its anti-inflammatory properties. For years, cough drops have contained eucalyptus to numb and soothe throats. But is it an essential oil for headaches? Well, not only does eucalyptus numb pain, it also acts as an expectorant, causing the patient to cough up phlegm and mucus from the lungs and nasal cavities. This ability is very useful in treating sinus headaches. Eucalyptus also is believed to have anti-microbial properties, so the essential oil is doubly effective in treating headaches caused by colds and the flu. There are a variety of ways to use eucalyptus efficiently. The most obvious way is by placing it in a diffuser or humidifier. This is an efficient way to spread the essential oil for the treatment of headaches. Other ways to use eucalyptus include mixing it with a carrier oil and placing it on the skin, or by placing the eucalyptus oil on a tissue near the patient while they sleep. Please be aware that placing eucalyptus oil directly on bare skin without a carrier oil is not recommended by most practitioners. A favored spice at the dinner table, rosemary also has many properties that make it an essential oil for stopping headaches. Like eucalyptus, rosemary is anti-inflammatory, which makes it useful for alleviating many different types of pain, including the types experienced in most headaches. Rosemary essential oil also has been proven to reduce stress by lowering the amount of cortisol in the blood when inhaled via aromatherapy, which will help greatly in reducing stress headaches. It also is known to increase blood circulation, which may help reduce migraines. Rosemary is a very useful essential oil for headaches. However, some care must be taken when using it as a treatment. First off, rosemary essential oil should not be placed directly on the skin because side effects may occur, including dizziness and nausea. Also, pregnant women should avoid using rosemary as an essential oil for headaches. It’s been known to cause miscarriages and induce labor in pregnant women. As always, it is best to consult with a physician before using any therapy when the patient is pregnant. Otherwise, usage of rosemary oil is very similar to the oils listed so far. It can be placed in a humidifier or diffuser, can be mixed with other essential oils, or mixed with a carrier oil. As long as the precautions mentioned above are taken, rosemary essential oil is useful for aiding a number of medical conditions, including headaches. Most people think of chamomile as a tea. However, Roman chamomile essential oil has many properties which are useful for stopping headaches. Like the tea many people take at night in order to sleep well, Roman chamomile essential oil has anti-anxiety properties, which can help stop stress headaches. It also is a mild sedative, like lavender, and has anti-inflammatory properties as well, which helps against many different types of pain, headaches included. 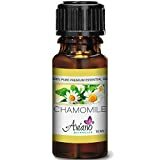 While all of the previous methods listed of using essential oils apply to Roman chamomile, this oil has a visible calming effect when vaporized. This anti-anxiety effect is powerful enough to soothe crying babies and should have a beneficial effect to those patients suffering from stress headaches and insomnia. Chamomile essential oils may also be used in a mixture or blended with carrier oils to be placed on the skin for headaches. However, as with most essential oils, it is not recommended that pure chamomile oil be placed directly on the skin. Helichrysum isn’t a word that is familiar to American patients. However, Helichrysum essential oil is used by sufferers around the world, including Spain and Italy, for the treatment of headaches. 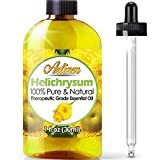 Unlike many of the essential oils listed so far, Helichrysum is not based on food. Instead, this essential oil is derived from a plant related to daisies. The plant has a yellow flower and grows throughout the Mediterranean. The essential oil derived from Helichrysum has strong anti-inflammatory properties. It also helps to sooth nerve endings. Therefore, Helichrysum essential oil is highly recommended for tension headaches. This oil also has antibacterial and antiseptic properties, making it useful for a variety of situations. Unlike the other oils listed here, Helichrysum essential oil isn’t normally placed in a diffuser or humidifier. Instead, it is mixed with a carrier oil and is then placed on the skin. Please note that, like most other essential oils, pure Helichrysum should not be placed directly on the skin. Geraniums are a favorite among plant lovers because of their relative ease to keep and their large, beautiful flowers. Geranium essential oils are useful for a number of maladies, including headaches, and is believed to reduce depression when inhaled, making tension headaches less likely. Geranium essential oil is also effective in stopping a headache brought about by hormones. Women, in particular, are susceptible to these headaches and it is believed that the essential oil derived from geraniums works on the pituitary gland to help stabilize hormone levels. This oil is best mixed with a carrier oil and applied topically. Both the abdomen and the neck are good places to apply geranium essential oil for headaches. While basil is known for its flavorful properties in the kitchen, the essential oil derived from the plant is useful for a variety of maladies, including headaches. Like many of the oils previously listed, sweet basil essential oil has anti-inflammatory properties. It also has antispasmodic properties. In other words, when using sweet basil essential oil, the patient’s muscles will relax — perfect for tension headache relief. The instructions concerning sweet basil essential oil usage are similar for other essential oils. While placing oils in a diffuser or a humidifier is acceptable, as is mixing the essential oil with a carrier oil, pure sweet basil essential oil should never be placed on the skin directly due to the possibility of an allergic reaction. Pregnant women also should not use sweet basil essential oil for any purpose, including for headaches. While most headache sufferers are familiar with common sage, which has a place at the dinner table, fewer people are familiar with clary sage, a plant which is grown primarily for two reasons — to add to various types of liquor and for its essential oil. Clary sage essential oil is invaluable for stopping headaches. It is known for reducing blood pressure, which in turn causes the body to relax and “destress.” This ability of the oil reduces the severity of stress headaches. It has been long suspected that clary sage also has anti-anxiety properties. Once again, this property aids in alleviating anxiety headaches. 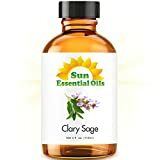 Finally, much like geranium essential oil, clary sage essential oil is known for stopping a headache brought about by hormones, along with menstrual cramps. For these factors alone, clary sage is a crucial essential oil for alleviating headaches. Clary sage is applied in the same manner as the other essential oils on this list. Either it can be placed in a diffuser/humidifier or it can be mixed with a carrier oil and then placed on the body directly. Pure clary sage essential oil should never be placed directly on the skin. Headaches can be a debilitating and painful condition. Alongside advice from an aromatherapist and your physician, essential oils can be an excellent course of treatment for a stubborn headache. While the 10 oils listed above are considered to be the most effective for the treatment of headaches, other essential oils can also work. If a patient wishes to avoid the inconveniences of conventional treatment, essential oil therapy is a viable choice.